Fire suppression is not just for race cars anymore. Whether you take your 4 Door Jeep Wrangler JL off road or to the grocery store, safety is essential. 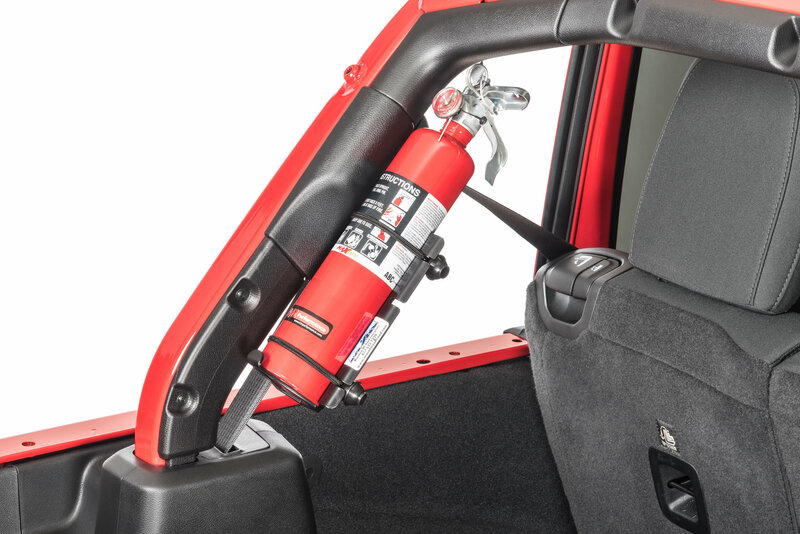 The Mountain Off-Road Fire Extinguisher Mount Bracket offers a convenient storage location for a fire extinguisher. This easy to install bracket bolts into existing mounting points on the factory roll bar. Because soft tops use the same bolt holes, this bracket is for use with hardtop models only. Mountain Off Road Engineering (M.O.R.E) designed this bracket with multiple strap locations, so it can accommodate either a 1lb or 2.5lb fire extinguisher. Best of all, M.O.R.E. manufactures these brackets right here in the USA! Vehicle Specific Design: The M.O.R.E. Fire Extinguisher Mount Bracket is compatible with four door JL Wranglers only. Because it bolts onto the roll bar at the soft top mounting location, this product will not fit if you have a soft top on your Jeep. 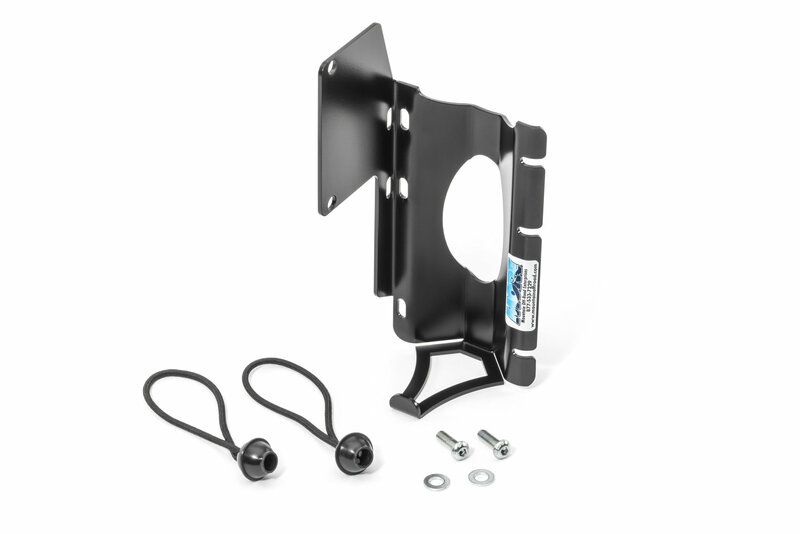 User Friendly: No cutting, drilling, or other modifications are needed to mount this bracket. Multiple strap mounting points allow this bracket to work with both 1lb and 2.5lb extinguishers. Heavy Duty Construction: The bracket is formed from rujgged 11 gauge steel plate, and finished in a durable black powder coat. Superior Grade: Mountain Off Road Engineering is known for their build quality and attention to detail. With that in mind, their Wrangler JL Fire Extinguisher Mount Brackets are manufactured right here in the USA!